After seventy-two months to break ground, and forty months to finish construction, today finally marks the inauguration of the Auditorium Niemeyer in Ravello (Salerno). After a number of controversies and lawsuits (nine) on the part of the environmentalist association Italia Nostra (“Our Italy”), the facility designed by the over one-hundred-year-old Oscar Niemeyer – the architect who designed Brasilia – now opens to the public. So almost ten years have passed since September 23, 2000, the day on which the architect delivered his designs to Domenico De Masi, president of the Ravello Foundation. The idea of the Auditorium was born, in fact, as part of the broader “Ravello designs”, as one of the undertaking's four pillars. The other three were: the institution of a cultural foundation for event management (underwritten by the Municipality, the Province, the Region and the Monte dei Paschi of Siena Foundation), the re-launch of the Festival, and the opening of a training school. Niemeyer worked pro-bono, offering this new creation to Italy, a country which to this date has been home to a number of buildings with his signature. He had enthusiastically come on board for the project, albeit admitting that it “was not an easy work to design”. The Region of Campania's “Board of Services”' approval dates back to the year 2003; the design fell under the 2000-2006 allocation period in terms of European funds, having received a grant of 18.5 million Euro. After that, however, the project's path was strewn with obstacles, up until the ground-breaking in 2006 (companies involved: Delfino, Edil Atellana and Pacifico Costruzioni; Technical Director: architect Luca Vitelli; Production Manager: Guglielmo Villani; Site Manager: Salvatore Russo). "In order to create an inexpensive, simple and passionate complex, one able to meld seamlessly into the Ravellian landscape with an unmistakable but not dissonant appearance … it will create a powerful yet friendly beacon for whoever looks at Ravello from afar": thus Niemeyer defined his intentions. The now-inaugurated building takes up a volume of 22 thousand cubic metres. It is equipped with a recording studio and a rehearsal hall, as well as dressing rooms and other “ logistical” spaces. The complex is subdivided into three blocks: the first is the actual Auditorium, the second is the car park, while the third is called the auxiliary building. The view towards the plaza from the Auditorium is closed in double-pane glass: air between the two panes acts as a sound buffer. The hall's acoustic quality is ensured by a system of moving, undulating reflective-panels made out of methacrylic. They are positioned on the covering, and on the sides of the dress circle. Window-apertures on the southern walls communicate with the hall using a phono-absorbent system contained in the hollow space behind the visible wall, filled with layers of fibreglass material. The dress circle is made up of ten terraced rows, with a total of 400 seats (four for disabled patrons). The “Ravello” seats – designed specifically with regards to sound absorption – minimise the difference in sound between a full house and an empty house, and will be built based on Niemeyer's own design. Under the terraced dress circle are the main service areas: café-bar, coat check and toilets. The stage, whose surface measures 167 square meters, is parabolic in shape. Under the stage are the “graffiti” seats, also designed by Niemeyer. The area is designed in order to be used in a variety of altimetric layouts: via a hydraulic-lift system, it can be made flush with the plaza level, that is, of the entrance, making the foyer one large usable space for important occasions. The plaza's floor is paved with polished Trani stone. With its belvedere terrace shape, it constitutes the connective tissue among the various sections, and is distinguished as a special section with its own identity. A programme of three events is scheduled for the Auditorium's inauguration. It all starts with the gala ball on January 29th, with the Escola do Teatro Bolshoi no Brasil, the only foreign “branch” of the Moscow Bolshoi Ballet, star of the Chopin ballet. At Villa Rufolo, on the other hand, the exhibit “ Oscar Niemeyer: Italian architecture” will run until February 28th. 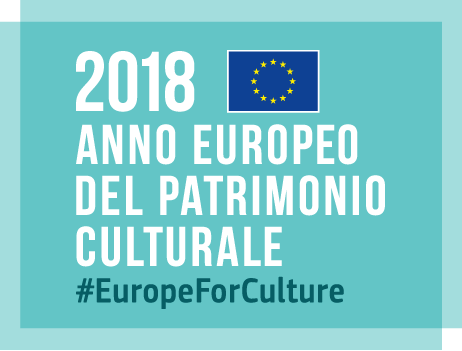 On the morning of the 30th will be the conference “Culture as a Resource...in Campania, too?” and will continue with guided tours of the Auditorium and with the performance “Dreaming of Ravello” with saxophonist Nicola Alesini. Another conference is slated for the afternoon: “A Tribute to Niemeyer” (at Villa Rufolo). Finally, the Orchestra and Chorus of the San Carlo Theatre will be open to the public, and in closing, the concert by Lucio Dalla. The 31st will offer, finally, two events for younger visitors: “Everybody in Concert” with the Italian Chamber Orchestra, featuring conductor and violinist Salvatore Accardo, with music by Antonio Vivaldi, and the screening of the film The Nightmare before Christmas in 3-D.
Outside the Auditorium and the Villa Rufolo in the evenings, light shows by Marco Nereo Rotelli will be projected.